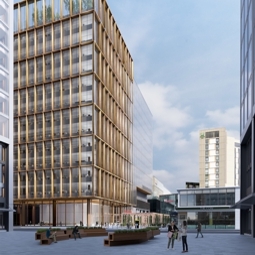 Westfield Europe Ltd has appointed Static Systems Group as its specialist fire alarm contractor for Westfield M7 Building A, a new 14-storey commercial office development in Westfield's Stratford City Estate, East London. Phased upgrade of the existing site-wide fire alarm was undertaken in order to bring the system up to a Category 1 open protocol system. All upgrade work was undertaken in a live, fully occupied hospital environment. Static Systems has undertaken upgrade works across the site over a number of years with the overall objective of establishing a common site-wide network and fire alarm system throughout. Since the early 1980's Static Systems has supplied and installed complex fire alarm systems at both the Doncaster Royal and the Montagu Hospitals. Several generations of fire alarm panel have been provided. Static Systems was employed to design, supply, install and test and commission two fire alarm networks. To reduce costs, nurse call indicators (also supplied by Static Systems) were used as secondary indicators. Static Systems was awarded the contract to supply and commission a new fire alarm system over a three year period. Working alongside the appointed third-party, installing contractor the project included phased upgrading of fire detection throughout the whole hospital. A complex fire alarm project completed over some seven years. In total over 750 individual fire zones are collected and reported at the central fire command and control centre. Static Systems has been the fire alarm systems supplier to RJ&AH for over 30 years, during which time parts of the system have undergone a series of upgrades to introduce more modern and higher capacity, network communications. Static Systems has worked in partnership with the client team for over 25 years to formulate a strategic approach to upgrading, recognising both budget and operational constraints. Static Systems' relationship with the site extends back to the 1980's when direct wired panels and a TDM network were installed. Later the site was upgraded to analogue addressable detection. Upgrade works were scheduled recognising that changes would need to be made dependent on departmental procedures and patients being treated. A long established Static Systems' site gradually upgraded from a Series 860, TDM system to a modern site-wide network with analogue addressable fire detection. Having reached capacity with the existing Series 860 and TDM network, Static Systems provided the client with a large site-wide modern network comprising over 60 panels. Under a number of discrete and varied contracts - some direct with the client, Static Systems has worked with the hospital for over 25 years. During this time a number of phased upgrade works has taken place. Supplied as part of the PFI development, the project was split into two phases with a total construction period of 5+ years. Static Systems' site-wide system facilitates extensive interfacing with site-wide dampers, sprinkler monitoring, door holders and miscellaneous plant. Static Systems was employed by Skanska to design, supply, install and test and commission the fire alarm system which included extensive site-wide cause and effect. Static Systems was employed as part of the BMS and alarms package to design, supply, install, test and commission. The project included extensive cause and effect with damper control and monitoring on a central graphics unit. Static Systems was employed to design, supply, install, test and commission a new site-wide fire alarm system. The project included full cause and effect development and interfacing with dampers and other ancillary systems. Having worked with the hospital for 25+ years, Static Systems was employed through Skanska to install a new network to accommodate the PFI build. This included extensive cause and effect.